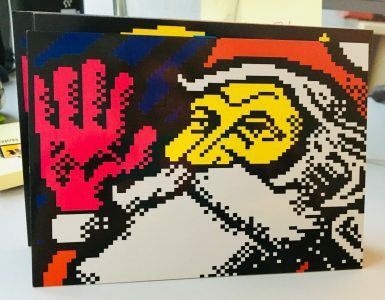 At long last, Wigan Teletext Fest ’17 is upon us! 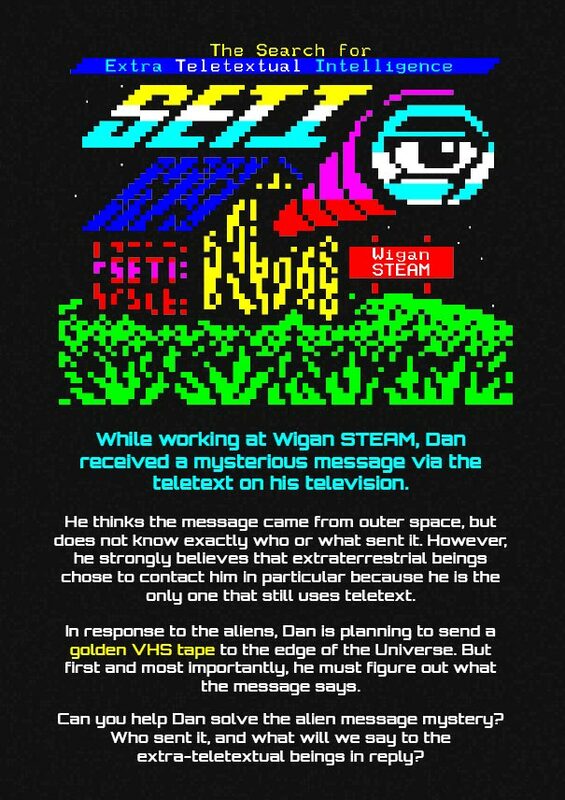 While working at Wigan STEAM, Dan received what he believes to be messages from extra-terrestrial beings via his teletext TV set. In order to find out more about the messages, he has established the ‘Search for Extra Teletextual Intelligence’ (SETI) at STEAM. What could these garbled alien scribblings mean, and what should the good people of Earth say in response? 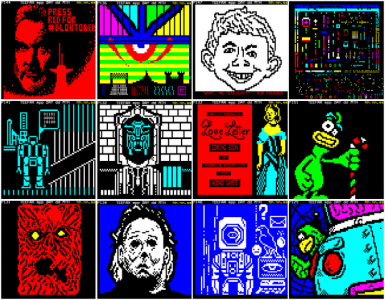 In the coming months, Wigan will play host to various teletext art workshops and activities. 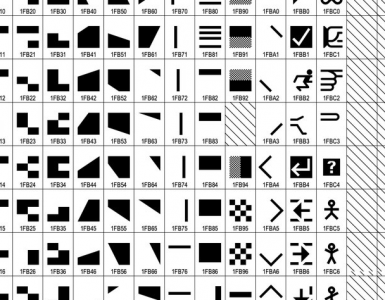 Can you help Dan solve the alien message mystery? During July, August and September, investigators are invited to explore the Wigan STEAM escape room. Solve the puzzles quickly enough and you might just figure out exactly what’s going on at this extra terrestrial hotspot in Wigan town centre. Wow! So how do I get involved, then? 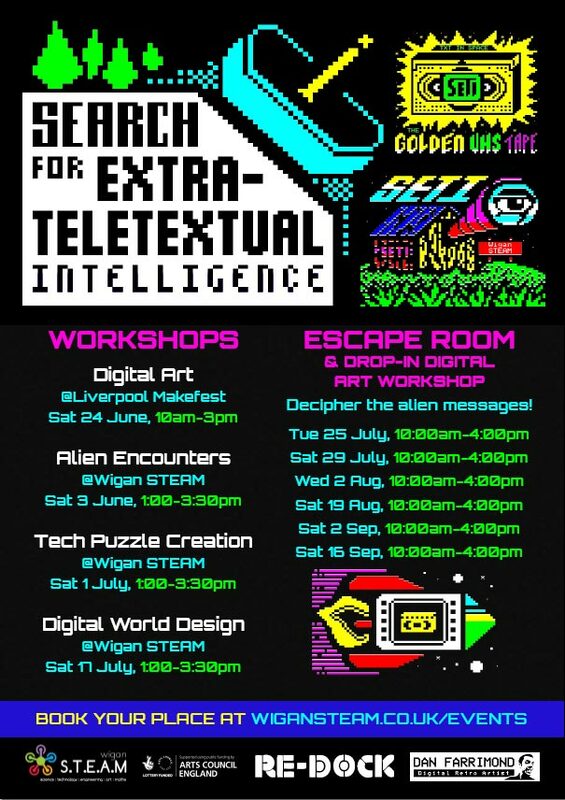 Keep your eye on the events page to see how you can get involved in the inaugural Wigan Teletext Fest. More dates and activities will be added as the Search for Extra-Teletextual Intelligence continues throughout 2017! Teletext Machine workshops @Wigan Library: tickets now available (£3). Drop-in art workshop @Makefest, Liverpool Central Library: tickets available for STEAM stand (FREE). Escape room creation workshops @Wigan STEAM: tickets now available (FREE). Registration for the escape room & drop-in workshop @Wigan STEAM (both FREE) will be open soon. Follow @illarterate or @setittx on Twitter for the latest happenings.